Only 100 will be made and each will cost at least $2.4 million. Or, rather, they did cost that much. They've all already been sold. 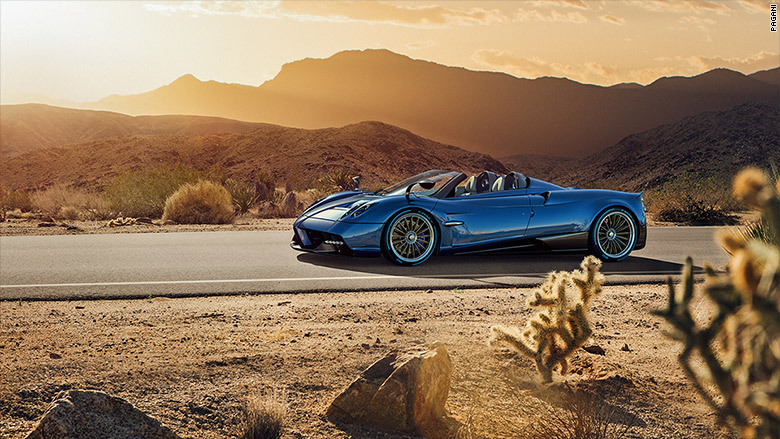 The Huayra Roadster is more than simply a convertible version of the hard-roofed Pagani Huayra you may already be familiar with. That car could be had for a mere $1.4 million. 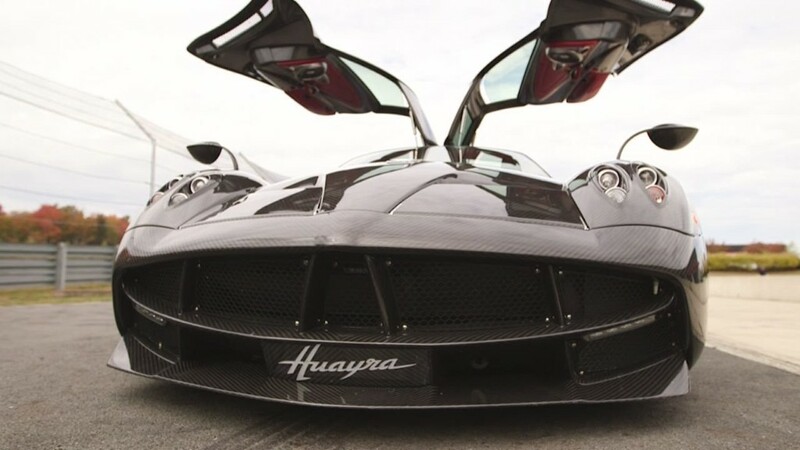 Named after an Andean wind god, the Pagani Huayra Roadster, like the hard-top version is made almost entirely from lightweight, but expensive, carbon fiber. Pagani's founder, Horacio Pagani, had been an in-house carbon fiber expert at nearby Lamborghini before leaving to start his own company. The Huayra Roadster will have two different roofs. One is a removable mostly clear carbon-fiber top that resembles a greenhouse providing an all-around view. The other is a carbon-fiber and cloth roof that can be folded up and stored with the car. It's available in case you head out without your hard top and get caught in an unexpected rainstorm. Powered by a 764 horsepower twin-turbo V12 engine provided by Mercedes' AMG division in Germany, the Huayra Roadster is considerably lighter than the version with a permanent roof. That's unusual. Most convertibles are heavier than their hard-top versions due, partly, to the need for structural reinforcements to make up for the loss of the roof. Like the coupe version, the Hauyra roadster has "active aerodynamics" with individual flaps at the front and rear that rise and fall automatically to provide the necessary amount of downward push at each corner of the car. 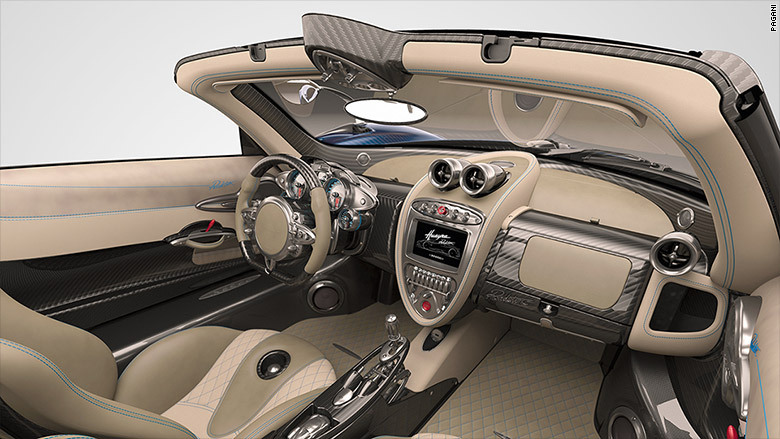 Pagani cars are particularly remarkable for their intricate interiors with lots of exposed metal mechanical parts. The engine is, likewise, readily visible from the rear of the car.